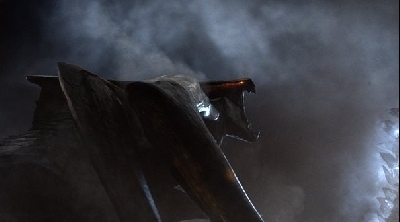 The official runtime for Mike Dougherty's Godzilla 2: King of the Monsters has been unveiled! 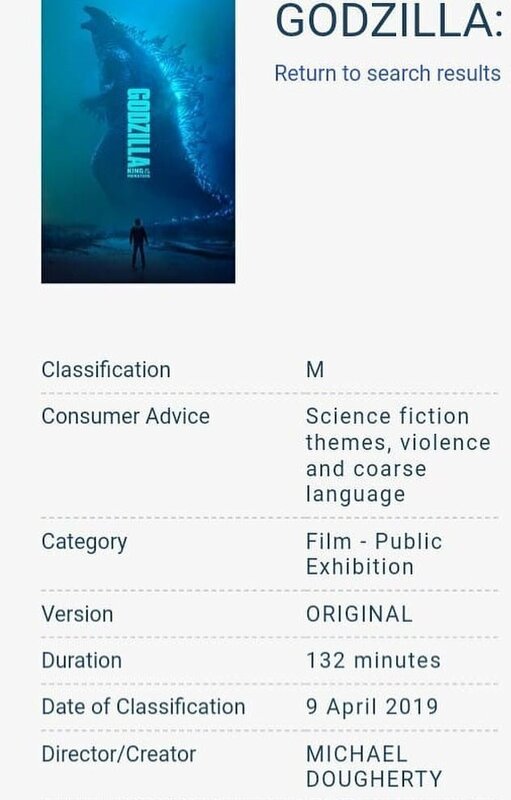 The classification and runtime were discovered by Godzilla-Movies reporter, resurrection_goji and shared with us. 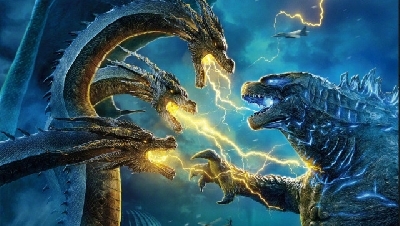 Godzilla 2's official runtime clocks in at 132 minutes, making the film 2 hours and 12 minutes - plenty of time for Godzilla, Ghidorah, Mothra and Rodan to get their frustrations out. 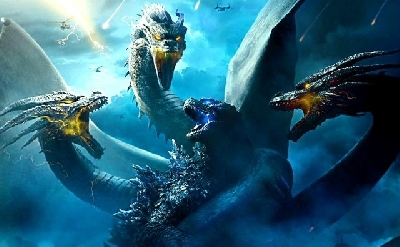 11 Fan responses to Godzilla 2: King of the Monsters 2019 official runtime revealed! I believe so, yes. 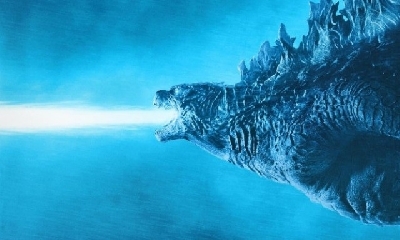 So about 2 hours of actual Godzilla action. That's only about 10 minutes longer than the first one, possible post-credits scene included. Good. 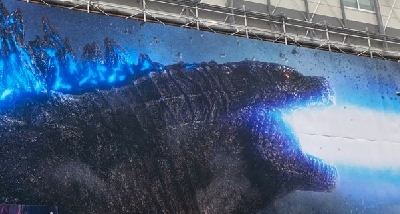 This means it's gonna be more fast-paced and action-packed, although the director has already confirmed that. Over 2 hrs of monster action. Hell yeah! It's the pacing that counts for me, which in turn depends on how the film is edited. Even a short duration film will drag and feel slow and tedious if the story is no good and if it was edited poorly. Conversely, a longer film will grab your attention and keep you invested in the story if the pacing is done right and the story can keep up with the momentum. 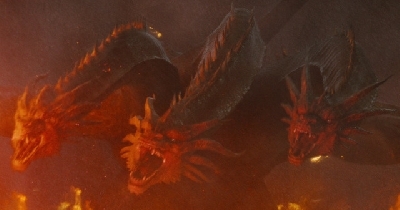 I might be in the minority, but I actually wished it was longer (or at least a director's cut of the film) so that we can have more monster action because of the fact that we also have a human story in this film as well, and I don't want the film to suffer the same reception that the 2014 movie got, as well as what happened with the Netflix Anime Trilogy (where the humans took the front/center stage, and the monsters were in the background, or used as props rather than actual threats, or something else entirely, but mainly that they [the monsters] are not the main focus despite the marketing suggesting otherwise). 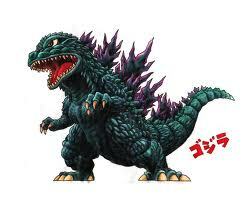 I Just Can`t Wait for this Movie, And the godzilla themed cups at movie theaters! 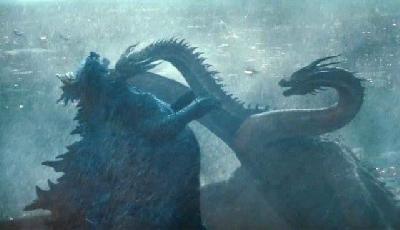 Gmkgoji Same thing happened with the MUTOs and Godzilla, but that was only three monsters. 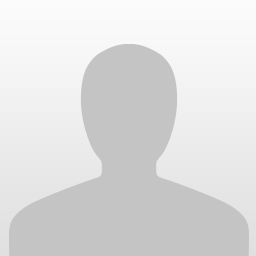 With "17. And counting. 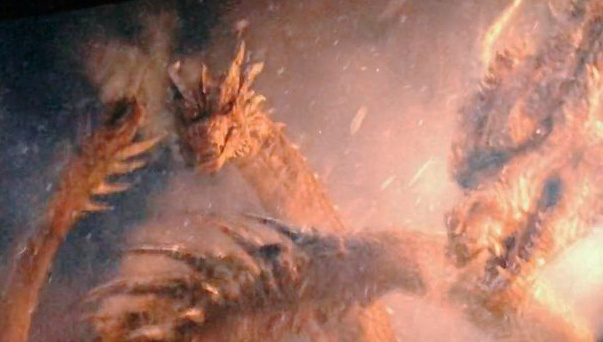 ", I'm worried about the amount of screentime each of these monsters will actually get if we need to both focus on the 4 main monsters (Godzilla, Mothra, Rodan, and King Ghidorah), and the human story as well as the new monsters that may appear. 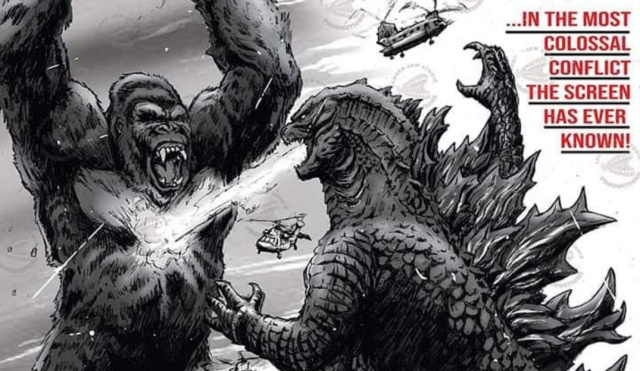 This is definitely way more than Kong: Skull Island had in terms of monsters, so don't go using that argument because it doesn't work for me. (And the same applies to everyone else too.) So if anyone could find a proper solution and explanation, please let me know. Thank you.